Another great article . Thanks Fred . I think that most Mormons find it odd when they hear that the Mormon Jesus ( what Mormon leaders have taught about Jesus ) is ” another Jesus ” — 2Cor 11:4 . However a careful examination of this issue reveals that the Mormon Jesus is truly an imitation , and the Bible reveals that fact . Common sense reveals that counterfeits are a very real danger , and the Bible reveals that , especially in the latter days there would arise false prophets introducing counterfeit gospels , and imitation Jesus’ — Matt 24:11,24; Gal 1:6-9 . This is such a simple fact to grasp that even Mormon leaders have admitted that verses like Gal. 1: 6-9 ; Matt 24:11, 24 ; 2Tim 4:3,4 ; 1Jn 4;1 are applicable to our time to serve in testing teachings . Mormons therefore should take the Bible and test their leaders teachings about Jesus / God . ” There is no principle nor doctrine of our faith that we are not willing to have tested by the revelations and teachings contained in the King James translation of the Bible .” He went on to say that Gal 1:8-9 should be used against anyone who preaches a different ( counterfeit) gospel than Paul in the Bible taught [ Jof D v 14 p 52 ] . Mormons need to know how serious it is to submit to latter days false prophets , men who have drifted from the truth about Jesus . Their salvation is at stake . ” We cannot obtain salvation and eternal life by worshiping fake Christ’s …” [ Ensign May 1977 , “The Living Christ ” ] . N.Eldon Tanner stated that because of false teachings : ” men have distorted views and beliefs reguarding Jesus Christ .” [ Oct 1964 Conference ] . So even Mormon authorities know that to believe erroneous teachings about Jesus will result in persons missing out on a right relationship with Jesus and salvation . ability to pardon from sins and offer the gift of eternal life . No doubt Mormon feel they believe in the right Jesus because all the names and titles in the Bible about Him they also accept those . That’s an easy mistake to make . However , a good imitation is just that i.e. it will be a good one thus fooling people . Interestingly , Mormon General Authority Bruce McConkie stated that people can fool themselves into thinking that because they accept the names titles of God mentioned in the scriptures that means they worship the true God. Wrong. Why ? Because to believe false concepts about God renders your worship invalid . [ Mormon Doctrine p 270 ] . 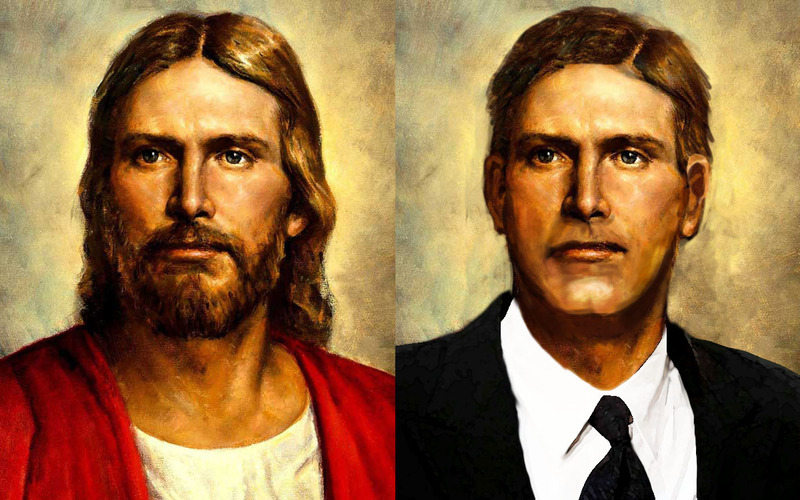 The list comparing the Mormon Jesus with the Jesus of the Bible that Fred has shared is greatly needed in order to properly evaluate the teachings of Mormon leaders concerning Jesus . God loves the Mormon people . There is a typo in my last post . There should have been a period (.) between the word “God ” and the word ” Wrong ” in the last paragraph above . This time of year it is especially important to remind people of what Mormon leaders in their gospel preaching taught about the virgin birth of Jesus Christ . Fred has listed several examples of what they preached . It clearly reveals that Mormon leaders drifted afar from what the Bible teaches about Jesus — 2Tim 4:3,4 . LDS should recognize Brigham Young and others as some of the prophets arising in the latter days that Jesus pre warned them about — Matt 24:11 . Fred also mentioned that the Mormon Jesus is one of three Gods ruling the universe . Although Mormon leaders have in the past used the term “trinity ” or ” holy trinity ” to describe a doctrine about God they believe in , they usually opt to use the term ” Godhead ” these days instead . Mormon leader Charles Penrose called the Mormon trinity of three Gods , ” the true trinity ” [ Why I Am A Mormon p. 8 ] . Brigham Young’s wife Eliza edited a book by Mormon Edward Tullidge called ” Women of Mormonism (Pub 1877 ) . It was designed to help Mormon women discuss certain teachings of Mormonism with non LDS . On page 179 it stated that the creation Gods of Elohim , Jehovah , and Michael constituted ” the celestial trinity ” . The Bible’s prophets and apostles never taught the ” three Gods ” teaching of Mormonism , what’s more , the Book of Mormon does’nt either . There is one God , there is never three Gods. The Mormon people have been told that , ” The Book of Mormon was written for us today ” and that one important purpose of the Book of Mormon is that it combats false doctrines / false religious concepts ” of our time ” [ Ezra T. Benson , Ensign May 1977 ] . Thus the Mormon people can see that the Book of Mormon and the Bible are a team which has exposed prophets in these latter days who are false teachers . Mormon leaders are such prophets . LDS should take that very very seriously as God is trying to get attention . Mormons don’t need their Hierarchy in Salt Lake City . Let’s pray for the Mormon people , they deserve our prayers . I have fixed your typo Mik. Thank you for pointing it out. For those who are wanting or needing a “nutshell” version of the above article (without the supporting evidence after each point) here it is. 1. Is God’s first spirit child – that is, Jesus Christ has not always been God. 1. Has always been God and always will be – that is, He had no beginning and has no end. 2. As God’s first spirit child, the is the “older brother” with all of God’s other spirit children – which includes you, me, all of humanity, and Lucifer (Satan). 2. Is the creator of all – including you, me, all of humanity, and Lucifer (Satan). 3. Is the literal Son of God begotten by an immortal Father – this doctrine compromises the virgin birth. 3. Was born of a virgin via a miraculous conception. Thus God the Son was incarnated, born, and lived as a human being through that miracle without compromising Mary’s virginity in any way. 4. Is, and always has been, God eternal. 5. Earned his own salvation. 5. As God, Christ required no salvation. 6. Christ came to condemn and exact judgment. 6. Came to save, not condemn the world. 7. Returned to the earth to preach to the Book of Mormon people and start a separate church for them in America. 7. 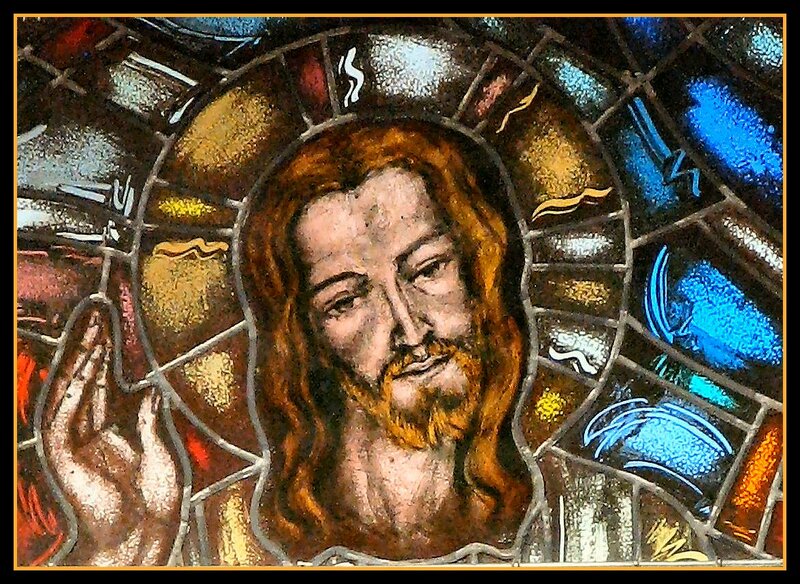 The physical return of Christ is still to come, there have been no physical returns since His ascension. 8. Accomplished the Atonement primarily in the garden of Gethsemane. 8. Procured our atonement or redemption specifically by his death on the cross. 9. Is never supposed to be directly prayed to. 9. Receives both worship and prayers. 10. Is only one of many Saviors. 10. Is the one and only Savior. 11. Appeared to Joseph Smith, condemned all existing churches, and restored the only true church in what is known as “The First Vision”. 11. Stated that He alone was true and that the gates of hell would not prevail against His Church. 12. Some of Jesus’ statements and acts must be revised according to Joseph Smith’s revelations. 12. . Upheld and affirmed God’s revelation of Himself in scripture as divinely inspired, reliable, and authoritative. I have also been using these “nutshell” comparison of the Mormon Jesus v. The Biblical Jesus for some time now. Perhaps the reader will find it of some value in addition to this new, expanded version. There are some points here that didn’t make the main article due to length considerations. 1. We have to add our own work. 2. He revealed the mystery of the gospel after the cross. 2. The gospel details were revealed to Adam. 4. His grace is sufficient. 4. His grace kicks in after all we can do. 5. Salvation was a fee gift. 5 We have to pay Him back for it. 6. He said Hell would not prevail against His church. 6. He failed to establish His church well, and Joseph had to restore it, and did what Jesus couldn’t do. 7. He said no marriage in heaven. 7. Celestial marriage will be in Heaven, If sealed in the temple , while on earth. 8. The Godhead is triune and the three are equal. 8. He is one of three separate Gods with one Both separate and one. purpose. 9. He was created and is Satan’s spirit brother or humans. and our elder spirit brother as well. 10. He came to forgive all sins and fulfill the Law. 10. He came to do be an example, to defeat death and make it possible for us to resurrect, and to forgive most sins. 11. He atoned on the cross. 11. He atoned in the garden. 12. We worship Him and pray to Him. 12. We only pray in His name and only worship the Father. 13. He will be with us in Heaven. 13. He will be in one level of heaven, below Heavenly Father. 14. He came to die for our sins because it was the divine plan before creation. 14. He came because he volunteered in a council in Heaven in the preexistence and Heavenly Father chose His plan over Satan’s. 15. We will never be like Him, we will never be a god. 15. It’s the Father’s will that we be exalted to become like Him – and thus become a god. Did Joseph Smith Love His Enemies?